Masks y Mas - Albuquerque, NM! I travel up to Albuquerque two or three times yearly. 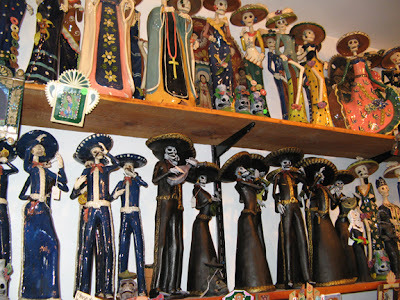 One of my "must-stops" is Masks y Mas on Central Avenue, in the heart of "the Drag," which is the University of New Mexico's college strip. Still, despite my 38 years, I love it. 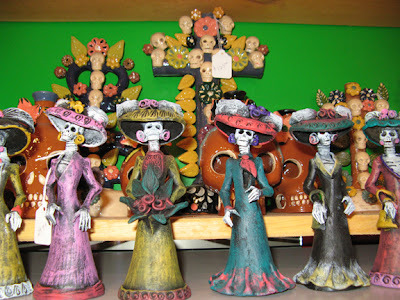 Masks y Mas is quite possibly, the best resource for Dia de los Muertos items in the United States. 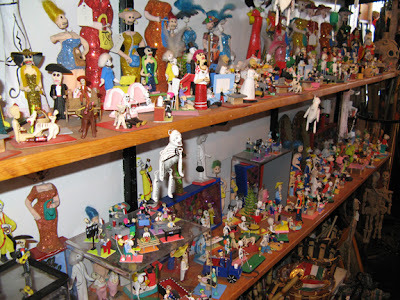 Here are some photos of just a sampling of their wares. Visit them at www.masksymas.net. Or call (505)-256-4183. I caught my favorite band, Los Lobos, at the Albuquerque Zoo (the second time my wife, daughter and I have seen them there) on August 18. A great show as always. 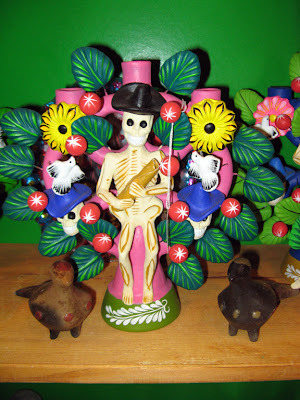 Dia de los Muertos is fast approaching, and the word is, the festivities here in El Paso will be even more than last year. 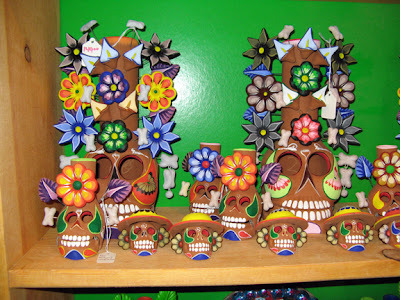 But if you're visiting Albuquerque, definitely stop by Masks y Mas. It's phenomenal. 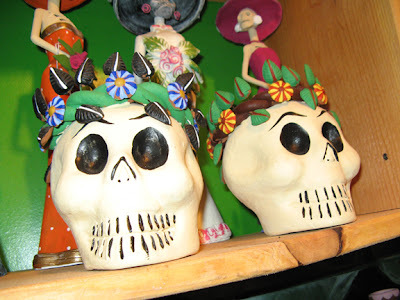 I added one of these clay skulls to my ever-expanding collection! 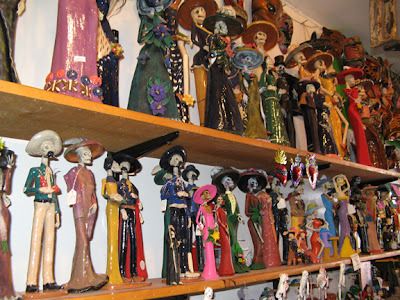 A huge selection of Catrinas!